In a way I was a bit shocked. But when I thought about it, I really shouldn’t have been. I have a staffer who’s father is just about to give up on his hanging basket. It’s quite early in the season, I realize, but for me it's getting out of the game when it’s just really about to start. Yet, it isn’t like my staffer’s father hasn’t given his honest best. This will be at least his fifth year that he’s had a hanging basket in his favorite spot. (He can see it daily just out of his back window.) and he’s gone through all of the trials and tribulations that stump beginning (and some expert) gardeners world wide. 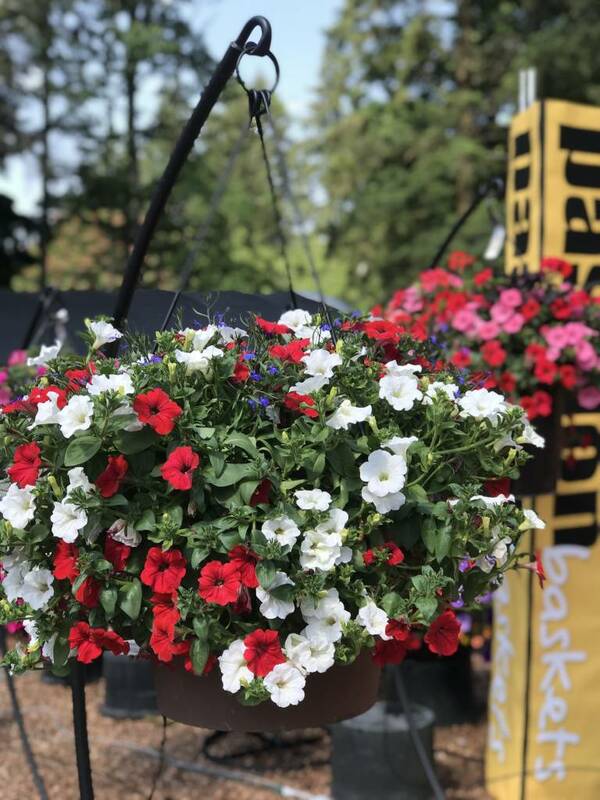 When his basket rocks he, (and his entire family…this is not an exaggeration) get the greatest joy any one family can get from magnificent gardening. The vibrant colors of summer, the freshness of the outside, the feeling of satisfaction from a happy garden; it’s the ultimate thrill of victory. Yet, when the blooms are absent or there’s yellowing of the leaves even despite his best efforts, the basket, like a foul mood, can reflect a bit of agony. Since the response time of personal effort and garden results often lags by weeks and months, the sting can hurt for a while too. “I do everything you say and it STILL doesn’t quite come out like the others that I’ve seen.” I’ve heard him say second-hand. And that, in a sentence, is what keeps me up at night. Over the years I’ve listened to ordinary gardeners tell me what stumps them most. It’s amazing to me that it often amounts to the smallest of a change in a gardening habit that stands between a gobsmacking beautiful basket (or garden) and something just so-so. Of course I start with the very basics. In a nutshell, it’s four important steps. Just four. Mind you here, it isn’t one step nor is it 3.5 steps, but a solid four. (In 98.576 percent of the time you will get crazy-good results I’m fond of saying. Know this pattern: Feed the dog? Feed the cat? Feed the children? Feed the plants. This is critically important for continuous blooming plants like annuals. We use “Flower Power”. It’s organic and water soluble so it goes instantly to the roots. Add one tablespoon per gallon of water. (Five gallons of water, remember for a Passion Basket, means five tablespoons of Flower Power.) Do this once per week. Pests and bugs are a natural part of our gardening cycle. Our goal as gardeners? Just keep the harmful ones at bay on the plants we love. Add two tablespoons of “Insect terminate” per gallon of water and water in. (Math translation: For five gallons of water, that’s ten tablespoons.) It’s a systemic bug control so it affects only the chewing, sucking insects.) We do this once per month. has been added because of a particular small, bald caterpillar that attacks mainly petunias and geraniums. Budworm has a voracious appetite and can take a fully blooming basket to just green stems in a matter of two days. The tell-tale sign you have it? It looks like someone shot a BB gun into the blooms of your basket. Find one bloom like this and it’s almost certain you have budworm. Luckily, it’s an entirely organic spray. (It’s completely safe for humans but quite deadly for budworm.) Ours is “Budworm terminate.” Add a tablespoon into a convenient, hand-size quart sprayer and add water. Spray this on both blooms as well as on the greenery until it begins to run off. Do this once per month. It’s even better during the evening when the budworm are most active. Turns out that our staffer’s father had inadvertently plugged the holes in the water reservoir of his Passion Basket which didn’t allow the basket to drain properly. It’s not part of our four steps I noticed. It’s just something we hadn’t thought possible. I hope he doesn’t give up. He wants that basket. He needs that basket. It matters. Jonn Karsseboom is often intrigued both by the plants in his garden as well as by his fellow gardeners. I can't find anything called Insect Terminate, even on Google ? Can you show us what the system insect control looks like?? Gary, you can spread it out. However, much easier to do it all at once. No reason to do double the work! Jonn, does the water have to be applied all at once or can you spread out the watering over say 2-3 hours?